The Pro Bono Counseling Project’s volunteer clinicians are the lifeblood of the organization and the driving force behind its efforts. We would like to sincerely thank the nearly two thousand mental health professionals who have given their time since our inception in 1991. It is through their exceptional generosity that PBCP can continue to help Marylanders with limited resources receive quality mental health care. When you enroll as a volunteer with the Pro Bono Counseling Project, you are part of a movement to improve access to mental health care in Maryland. 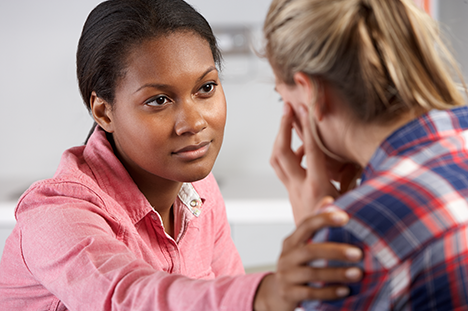 Our network of over 700 participating clinicians donates over 9,000 hours of their time each year to improve the lives of Marylanders in need of counseling. PBCP takes care to ensure that all new clients are thoroughly screened by a licensed social worker during the intake process, and we only match clients who can engage in insight-oriented counseling. The Pro Bono Counseling Project is approved by the APA to sponsor continuing education for psychologists. Learn more about our upcoming workshops. PBCP’s Clinical Director, an LCSW-C with over 20 years of experience, is available for case consultation. Please fill out our enrollment form and send a copy of your liability insurance to us by fax, email, or mail. Soon afterwards, a member of our team will get in touch with you and inform you of the next steps. Once you are enrolled, our clinical team will match you with potential clients with needs you are well suited to meet. You are always free to accept or decline a referral for any reason. You can also tailor your participation with PBCP around your areas of expertise; let us know what kinds of cases you would like to take, and our clinical staff will match you with appropriate clients.